In celebrity relationship news that no one saw coming, Zac Efron and his two-year long girlfriend Sami Miró have called it quits! The celebrity couple was last seen grocery shopping together on April 11, but have since been spotted individually at separate events in the past three weeks. This celebrity news is especially surprising since Efron was on The Ellen DeGeneres Show last month saying his relationship with Miró was going “great,” while Miró tweeted from Coachella on Friday “Donde estas mi amor” (Where is my love?). 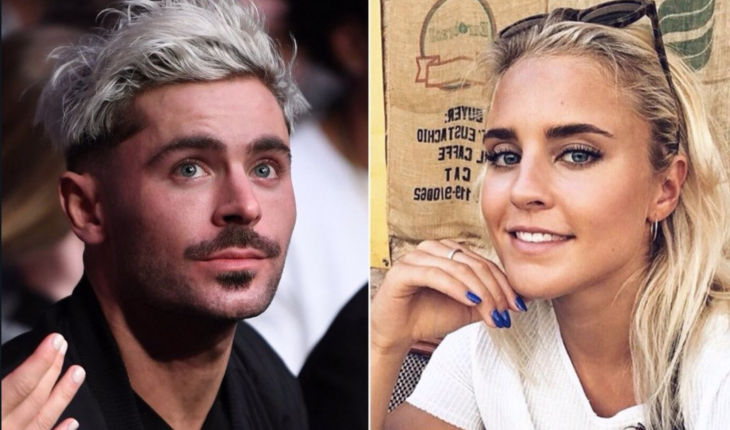 According to People.com, Efron removed all photos of Miró from his Instagram account and has unfollowed her on social media. Hopefully this break-up wasn’t an ugly one! This celebrity couple is no more. What are some ways to make a relationship work in the midst of stressful work lives? …Want to learn how to balance work and relationships? Read more! Hollywood’s hottie is back in the throes of love! According to UsMagazine.com, Zac Efron has been spotted sporting a new lady, Sami Miro, on his arm. Matching ensembles, dining out and traveling together, this new celebrity couple seems to be quite in sync. A source reported, “Zac is dating Sami, but it isn’t serious.” After his short relationship with actress Michelle Rodriguez, it seems Efron is enjoying being young and getting his casual dating on. We can’t wait to see where this celebrity romance is headed! What are some ways to ease into a relationship and love like this new celebrity couple? This weekend Zac Efron was spotted with his arm draped over his hot new flame, Michelle Rodriguez. The pair was whisked away to Ibiza, Spain where they cuddled and turned up the PDA on the beach of the Mediterranean island. The played together in the water, walked along the beach, and even took the jet ski for a spin. According to UsMagazine.com Michelle and Zac have great chemistry, so it looks like this hot new couple will be around for a little longer! What are some ways vacation can bring you closer together as a couple? Mirror Mirror star Lily Collins was seen recently in pictures with Jamie Camp­bell Bower, taken while filming a movie together in Canada. That’s a change. 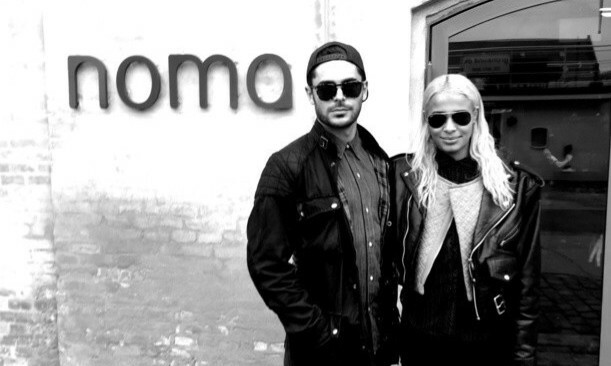 We’re used to seeing Lily in photos with Zac Efron. But rumor has it that Lily and Zac have now split. Celebrities get together and break up in front of the camera all the time. But these days you don’t have to be a star to see your new love interest with an ex. With all the social media that comes into play today, it might be too easy to witness the relationship that came before yours. So what does this mean for your romantic future? And when, if ever, is it OK to talk about it? …We’re not done! Click here for more. Are Zac Efron and Lily Collins A Perfect Pair? Lily Collins recently revealed what she is looking for in a guy, even though she has been spending a lot of time with Zac Efron since Valentine’s Day. “Prince Charming is someone that can make you laugh no matter what,” Collins told reporters on Tuesday, according to People. “The thought of them makes you smile.” Collins claimed she was speaking generally, however she shared a few specific traits. “I’m looking for someone that’s open to spontaneity and not close-minded and makes you feel like being you is enough,” said Collins. Efron told reporters that laughter is key for him as well. “I like humor and spontaneity and something you wouldn’t expect. I’m a big practical joker, and you can make [practical jokes] very romantic,” said Efron. Collins was spotted out Tuesday night talking with one of Efron’s close friends, but not Efron himself. How do you know if someone is a good match for you? Is Zac Efron Dating ‘Mirror Mirror’ Star Lily Collins? What are three strong dinner date conversational points? Charlie St. Cloud is a romantic movie based on Ben Sherwood’s 2004 novel, The Death and Life of Charlie St. Cloud. The star of the movie, Zac Efron, plays Charlie, a young man grieving after a tragic car accident takes the life of his younger brother, Sam. Charlie remains connected to his brother’s spirit, taking a caretaker job in the cemetery where Sam is buried so they can play catch and talk every night. The turning point is when Tess (Amanda Crew), comes into Charlie’s life, and he’s faced with the decision to let go of the past or move forward with his newfound love. Does the past hold you back from falling in love?